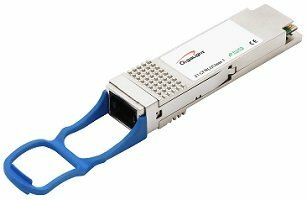 In the current interconnection market, 100G QSFP28 transceiver has become a common trend of Ethernet due to its higher bandwidth, high data rate, lower cost and so on. 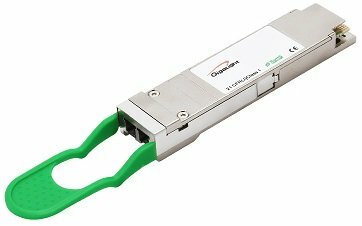 To further keep pace with the market demands, many series of QSFP28 optical transceivers come into the data center, such as QSFP28 100GBASE-SR4/LR4, QSFP28 100GBASE-PSM4, QSFP28 100GBASE-CWDM4 and so on, in which 100GBASE-PSM4 is relatively cost-effective compared with other 100G series optics. Well, this article will have an introduction to things you should know about QSFP28 PSM4 from perspectives of 100G PSM4 definition, 100G PSM4 Specification, advantages of PSM4 and other else. PSM4, the abbreviation of Parallel Single Mode 4-channels, is a type of single-mode transceiver that uses a parallel fiber design for reaches from up to 2 km and for reaches beyond the limits of 100-meter Short Reach 4-channel (SR4) multi-mode transceivers. It uses four lanes of the parallel single fiber to deliver serialized data at a rate of 25Gbps per lane. PSM4 will be the transceiver that enables single-mode fiber to become popular in next-generation data centers due to its low cost and high configurability. Moreover, PSM4 is built with one laser (instead of four), split into four paths or channels and separately modulated with electrical data signals. Each channel has its own fibers and is separated throughout the link. It doesn’t need a MUX/DEMUX for each laser but it does need a directly modulated DFB laser (DML) or an external modulator for each fiber. PSM4 uses eight-fibers, in which four fibers are for transmission and four fibers are for receiving. A PSM4 QSFP28 module supports link lengths of up to 500 meters over single-mode fiber with 12 fiber MTP/MPO connectors. The light source of PSM4 optic module is a single uncooled distributed feedback (DFB) laser operating at 1310nm. 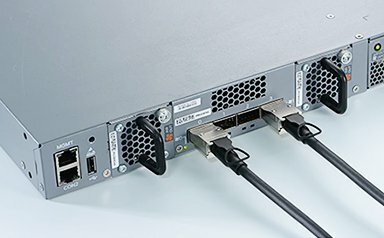 The 100G PSM4 specification, created by PSM4 MSA(Multi-Source Agreement) group, provides a low-cost solution for long-reach optical interconnects data center. 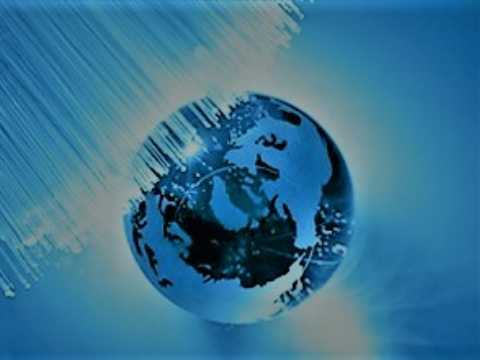 With the data rates of optical interconnects increased, the growth in the scale of the data center has created a need for low-cost solutions available for at least 500m reaches. The 100G PSM4 Specification is targeted to service that needs on a parallel single mode infrastructure, as a critical need of next-generation data centers. This specification defines a four-lane (per direction) 100Gb/s optical interface to single mode fiber(SMF) media. As shown in Figure 1, the 100G PSM4 transceiver module (100G PSM4 module) provides Transmit Optics and Receive Optics between the Host IC and the fiber optic media. A particular form factor, such as QSFP28 or CFP4, is not defined and the 100G PSM4 optical transceiver module may be implemented in various form factors. Since management and control interfaces are with the dependent form factor, the definition of these interfaces is outside the scope of this specification. In the aspect of QSFP28 PSM4 advantages, in addition to the common merits of the QSFP28 transceiver module, such as high bandwidth, low insertion loss, high data rate and so on, the most prominent advantage of PSM4 is with the lowest cost. On one hand, the existing 100G Ethernet links with QSFP28 SR4 or LR4 are either too short in transmission distance or too expensive in cost. On the other hand, unlike CWDM4, PSM4 doesn’t need to use an optical multiplexer and de-multiplexer, operating around 1310nm with CWDM technology, as shown in the following picture. However, the high component count drives the cost of CWDM4 modules. Thus, by comparison, CWDM4 is more expensive than PSM4. For QSFP28 PSM4 transceiver, Gigalight also launches one type: GQM-SPO101-IR4C. 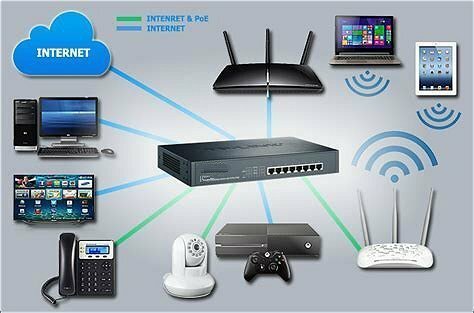 Besides the characteristics and advantages that common transceiver has, Gigalight PSM4 has its own unique features. This high-performance module for data communication and interconnect applications, integrates four data lanes in each direction with 104Gbps bandwidth. Each lane can operate at 26Gbps up to 2km over G.652 SMF. The electrical interface uses a 38 contact edge type connector. In addition, this module incorporates Gigalight proven circuit and optical technology to provide reliable long life, high performance, and consistent service. QSFP28 PSM4, as the most cost-effective one type of QSFP28 series transceivers, it’s believed that it will play a key role in the future data center by virtue of its various strengths, especially in cost. Simultaneously, it’s possible to be further improved in cost with the development of tech. Let’s expect it together. What’s DAC Cable And Why Choose It Over Fiber Transceiver? How About the Prospect of 100G Optical Transceiver Market? ← Switch Stacking vs Trunking: What’s the Difference?